Intel launched a successor to their Skull Canyon based Gaming NUCs - The 8th Gen Kaby Lake-G NUC. The new Hades Canyon named NUCs are the first systems to have two Gigabit NICs embedded which makes them even better to be used with ESXi. NUCs are not officially supported by VMware but they are very widespread in many home labs or test environments. They are small, silent, transportable and have a very low power consumption, making it a great server for your homelab. Generation 8 Hades Canyon NUCs are available with two different CPUs but their main difference is the Graphics chip. Compared to the previous releases commercial Dawson Canyon NUCs, they are not equipped with Intel's vPro Technology. NUC8i7HVK (Intel Core i7‑8809G) - "The big one"
The problem only happens with the NUC8i7HNK, not its larger brother NUC8i7HVK. It took a couple month and a lot of people were trying to get it up and running (eg. on Reddit) but the problem was finally fixed by Intel within BIOS Version 51. Intel's latest 7th Gen Dawson Canyon NUCs are equipped with AMT vPro Technology. Intel AMT (Active Management Technology) allows remote management including a KVM Console. vPro is available in NUCs with i7 and i5 CPUs. NUCs with i3 CPUs do not have vPro Technology. 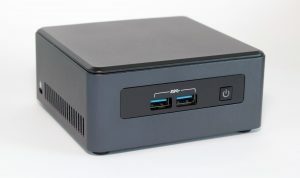 Intel launched a commercial version of their 7th Gen NUCs. The new Dawson Canyon named NUCs are available with vPro technology which allows you to manage NUCs remotely. NUCs are not officially supported by VMware but they are very widespread in many homelabs or test environments. 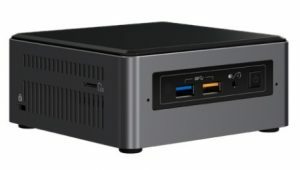 They are small, silent, transportable and have a very low power consumption, making it a great server for your homelab. Generation 7 Dawson Canyon NUCs are available with i3, i5 and i7 CPUs but only i5 and i7 are equipped with IIntel's vPro Technology. The i3 comes without vPro and has an identical CPU than the Baby Canyon. The i7 has a powerful 4 Core Kaby Lake-R CPU which give a great performance boost. Homelab - Will ESXi 6.7 run on Intel NUC? 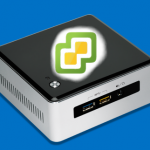 VMware vSphere ESXi 6.7 is here and while you might want to wait before you upgrade your production, it's time to explore the new features in your Homelab. I've received a few questions on whether it is safe to upgrade. 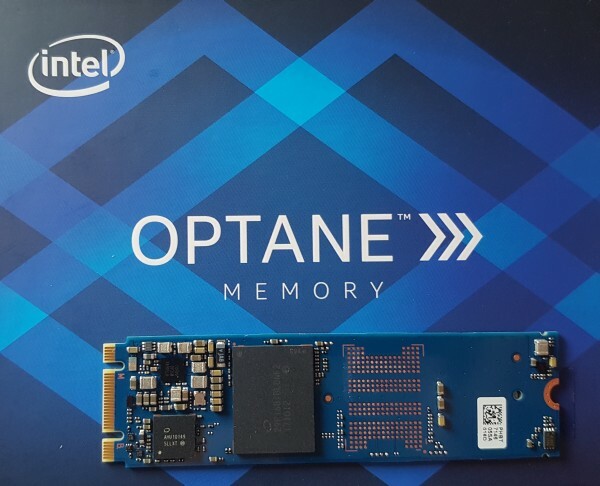 I could get my hands on Intel's first 3D XPoint based SSD to figure out how it performs. 3D XPoint is a new non-volatile memory technology that has been developed by Intel and Micron. With 32GB, it doesn't make sense to buy them for anything else than their intended use case: Cache device to enhance SSD/HDD Performance. If you want to use Optane technology as VM Datastore, wait a couple of months when devices with a higher capacity are available. Intel does not preconfigure SMBios information for their NUCs. When you install VMware ESXi, Manufacturer and Model information in the Summary tab are missing. Intel provides a tool for system integrators that allows customizing the BIOS. 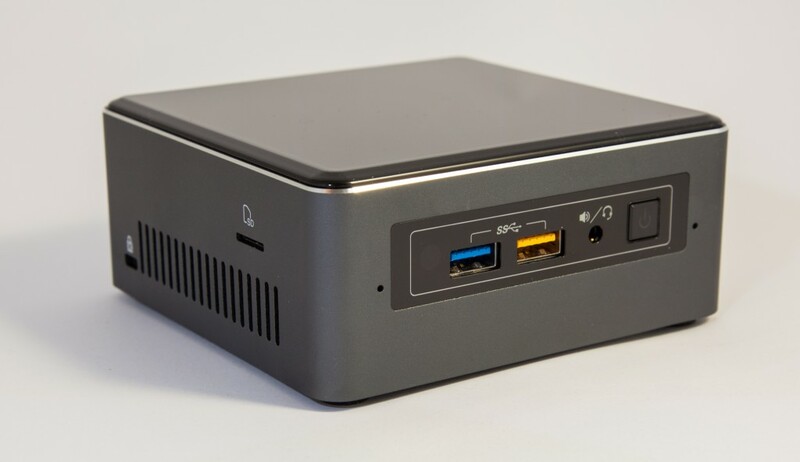 Intel's 7th Gen NUC is currently rolled out and after a resolved issue with the NIC driver, it's time to take a look at their capabilities as homeserver running VMware ESXi. NUCs are not officially supported by VMware but they are very widespread in many homelabs or test environments. They are small, silent, transportable and have a very low power consumption, making it a great server for your homelab. I've posted a preview of the new models about 2 months ago. Gen7 NUCs are available with i3, i5 and i7 CPU. The 7th Generation of my favorite Homelab systems are ready to be launched and the shipping is expected to start in Q1 2017. Intel NUCs are small, silent, transportable and have a very low power consumption, making it a perfect system for labs or as a home server. Intel has put its latest Kaby Lake mobile CPU into the mini system. Intel NUCs were never officially supported by VMware but they have a great community support. Their 4th, 5th and 6th Generations are proven in many home labs or even for demonstrating Virtual SAN deployments.